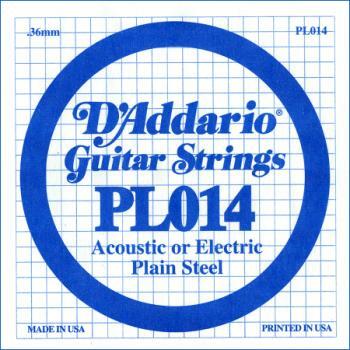 PL014 is a .014 gauge plain steel string for acoustic or electric guitar. Perfect as a replacement string or for creating customized sets. © 2019. Piccolo's Music, All Rights Reserved.